The Panikhida or memorial service is one of the most moving services held by Orthodox Christian churches for commemoration of the dead. It honors the departed, comforts loved ones and reminds everyone about the brevity and mortality of human life. 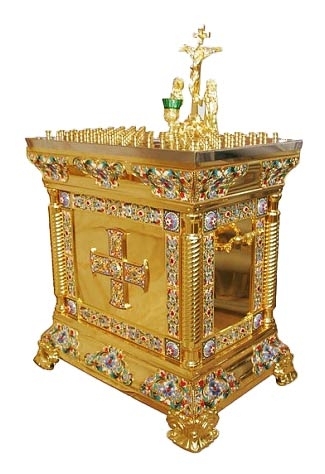 Istok Church Supplies specializes in providing all types of memorial service items including panikhida trays and memorial tables in beautiful traditional styles. For individuals, memorial services can be held on certain days following the death of a loved one or on any day requested by the family. 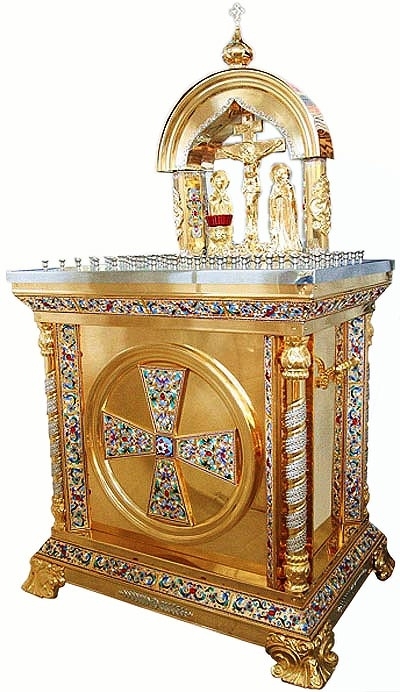 Orthodox Christian churches also hold general memorial services to pray for the souls of all those who have departed. 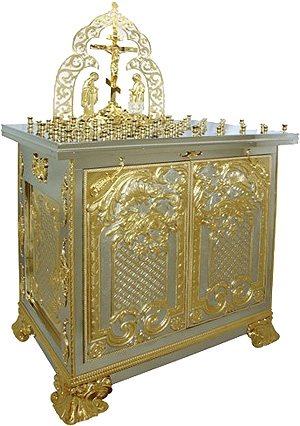 Services are also held during special ecclesiastical occasions such as the Divine Liturgy, Vespers etc. Hymns, prayers and psalms are recited during the service. Candles too are lit, in honor of the departed ones. This deeply moving ceremony brings together the entire community. 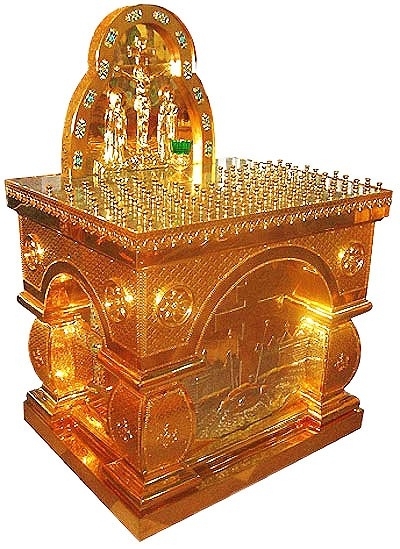 A panikhida tray has individual candle holders where the devout place lit candles in memory of the departed. 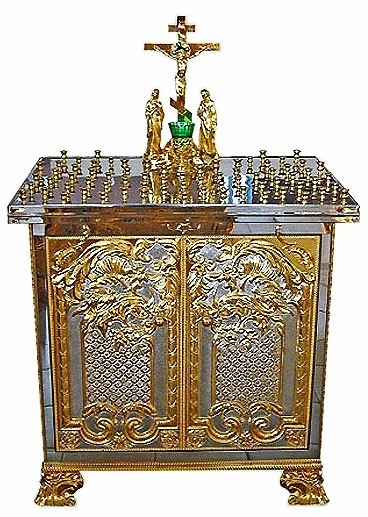 The number of candle holders can vary, depending on the requirement of the Church. 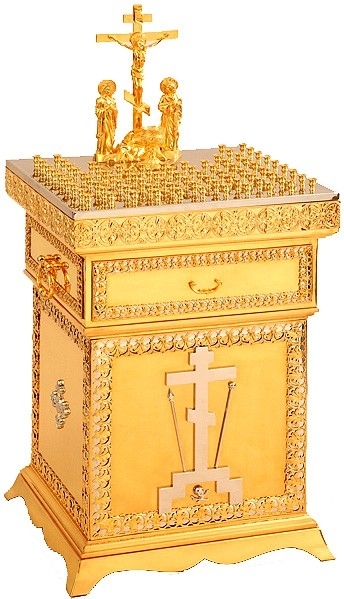 We, at Istok Church Supplies, offer a superb range of high quality panikhida trays, fashioned from brass or stainless steel, in a wide variety of dimensions. 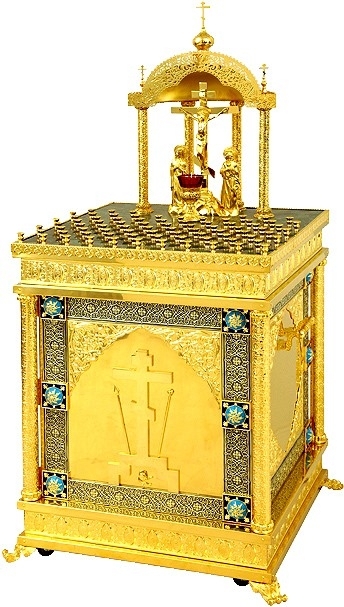 Some of the hand cast brass trays cast have additional gold gilding that provides them with a distinguished appearance. We entertain custom candle holder dimensions for some of our designs. Apart from memorial trays, we also offer elegant standalone memorial tables that can accommodate larger numbers of individual candle holders. 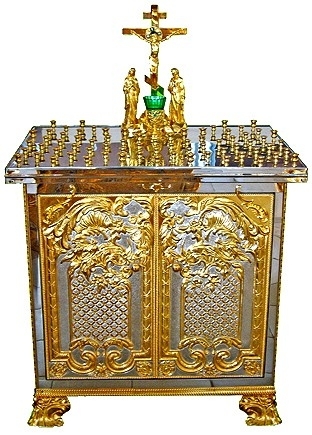 The craftsmanship for these memorial tables is of very high quality, with intricate detailing adding to their rich look. 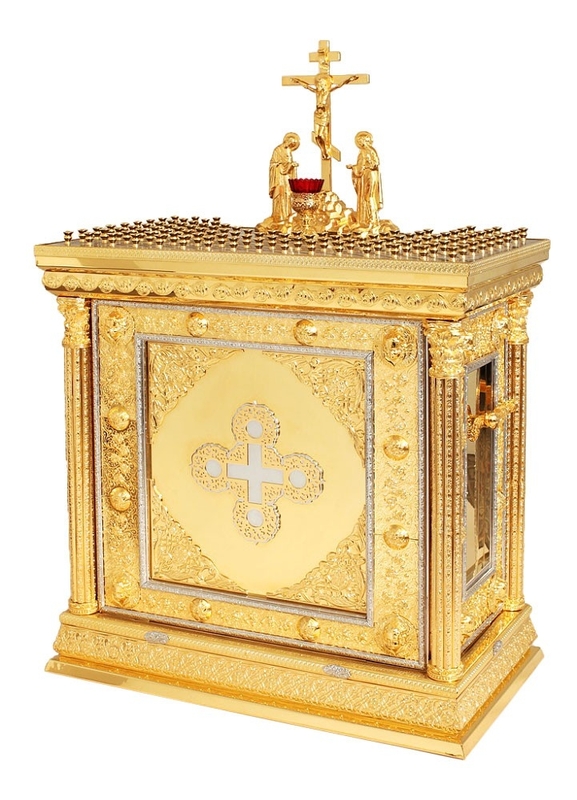 The memorial table with Golgotha that we offer is as authentic as it gets. 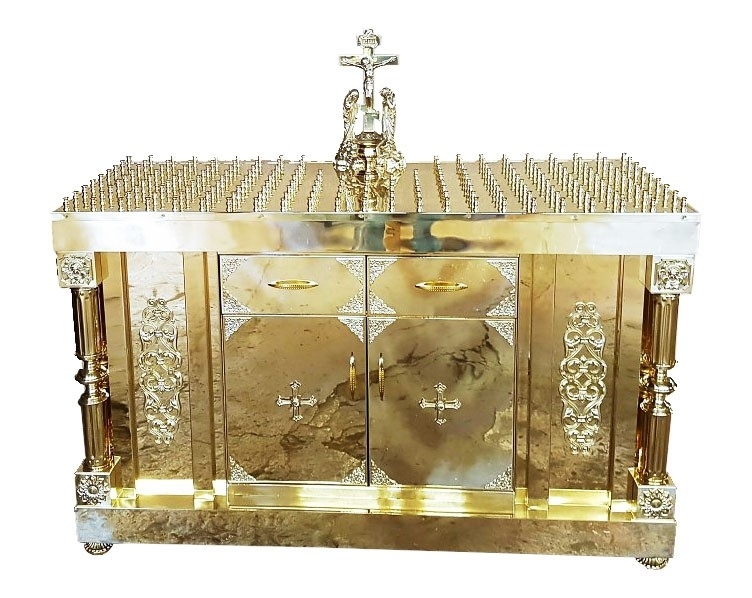 It is our desire to propagate traditional Orthodox Christian church customs and hence we endeavor to provide high quality items at affordable prices. Our approach to all our supplies centers on traditional styles, high quality craftsmanship, flawless finish and durability. 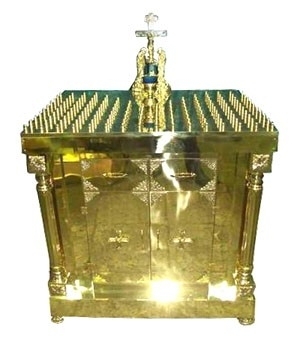 Make your memorial service a special affair with our excellent range of panikhida trays and memorial tables!